The Angels Back to School Outreach Event. Our mission is to supply children in need or living in homeless shelters the supplies they need to start off the school year just like their peers. Each child that attends our event will be provided lunch, receive a back-to-school haircut, new socks & underwear, and will walk around from table-to-table to choose their own backpack and back-to-school items. And NEW this year, we want each child to leave with a brand new pair of sneakers/shoes. When you think of “back-to-school,” images of new clothes, book bags, notebooks, pencils, new teachers and friends may come to mind. But for some families this year, the return to school is dreaded. The first day of school should be a day of excitement, but for a child in need the excitement can quickly turn to anxiety. Will they have shoes that fit to wear to school? Will they have a back pack? Will they have all the school supplies to start off the school year? The need to buy school supplies at a time when there is little money puts a strain on families. 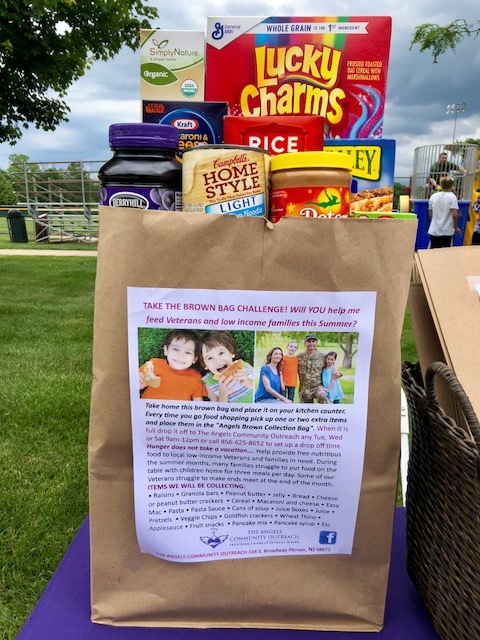 Angels of God Community Outreach want to help and give a hand up to local children in need and ensure they will begin the school year with the tools they need to succeed. At the end of August, Angels of God will hold their annual Back to School Event for families in need. What makes our Back-to-School Event special is that the children who attend our event get to choose. So often when you are in need you have things given to you. We want the kids to have a chance to pick out the backpack and school supplies they like. 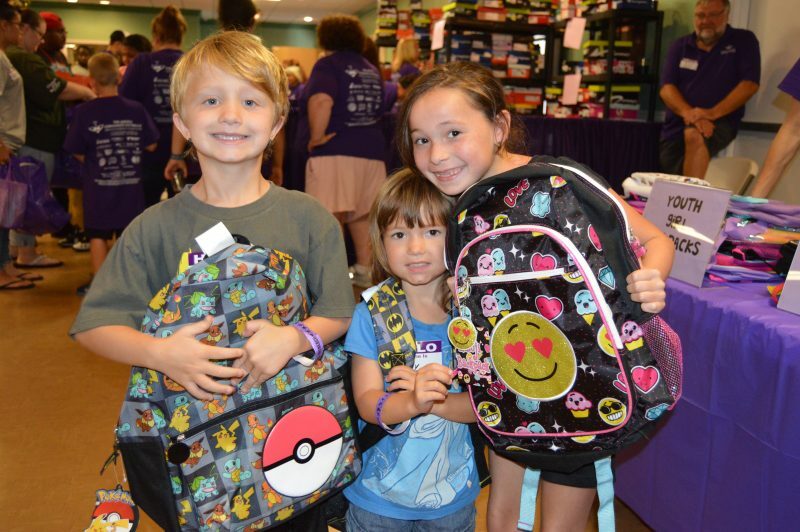 They get to choose their favorite color/character backpack and school supplies. *Make a Donation: Donate a new back to school item – Backpacks, school supplies, gift cards, socks, underwear or sneakers/shoes. Items can be dropped off at Angels Clothing Closet, 334 South Broadway, Pitman during designated donation times. *Hold a Collection: Hold a Back to School Collection in your community or workplace. Please contact us for details. *Make a Financial Donation: Your donation of $10.00 or more will help us meet our goal. The cost to sponsor a child is $35.00. Your tax-deductible contribution can provide a child with the school supplies they need to start off a new school year, just like their peers. -Call 856-625-8652 & we can take your credit card over the phone. ARE YOU GOING SHOPPING? Please consider picking up a back to school item for a child in need.